organizations dedicated to improving the lives of those in need. $3MM in funding to those beneficiaries we support. Restoring. Independence. Supporting. Empowerment. Through R.I.S.E. the Gary Sinise Foundation works to construct one-of-a-kind specially adapted smart homes for our nation’s most severely wounded heroes. Through their home grant program, the MBA Opens Doors Foundation provides mortgage and rental assistance payment grants to parents and guardians caring for a critically ill or injured child, allowing them to take unpaid leave from work and spend precious time together without jeopardizing their cherished homes. As the largest professionally led nonprofit network of cancer support worldwide, the Cancer Support Community has a mission to ensure that all people impacted by cancer are empowered by knowledge, strengthened by action, and sustained by community. Our annual Wine Tasting and Auction is a fantastically executed private affair inviting our industry’s finest to attend. 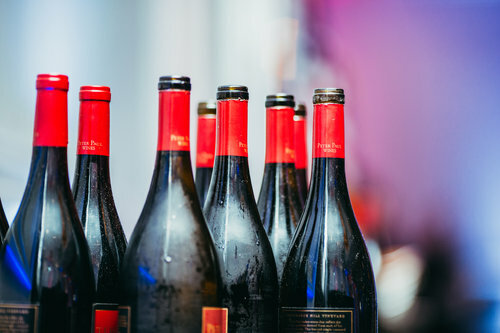 The charity event showcases over 25 different wines for tasting alongside a gourmet dinner and live auction, which boasts trips throughout the country and the world. CMG Financial employees nationwide proudly volunteer their time and energy to make this event a success each year. With 100% of the Events proceeds going back to our beneficiary organizations, our Foundation was proud to have raised nearly $1MM at our 2018 event for donation. Click the link below to find out more and join us on July 15th, 2019 for our Foundation’s 9th Annual Wine Tasting and Charity Auction! THANK YOU TO OUR 2018 PREMIUM SPONSORS! THANK YOU TO ALL OUR ADDITIONAL 2018 SPONSORS! Sign up with your email address to receive news and updates about our Foundation and upcoming events.